Our Cool Sun Wobbler stress reliever is a fun promotion to give-a-way at resorts" travel agencies and industry shows. 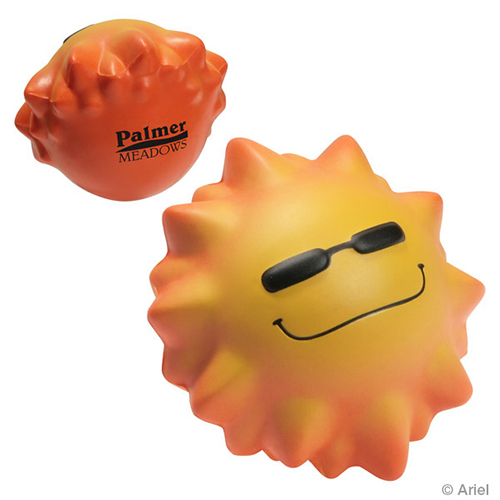 These cool sun wobbler stress balls are weighted to wobble back and forth. You can custom imprint a cool sun wobbler stress ball with a catchy slogan or a business message. Item Size : 2-5/8" x 3" x 2-1/4"